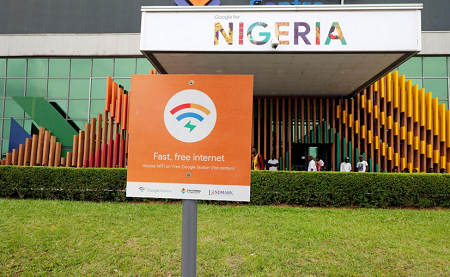 Google has planned to deploy free WiFi hotspots in 200 locations and across five cities in Nigeria which includes states like Lagos, Kaduna, Port Harcourt (Rivers state), Ibadan (Oyo state), Enugu and Abuja by the end of 2019. This announcement was disclosed by Anjali Joshi - Google’s vice president for product management at the 2018 Google for Nigeria conference which held in Lagos. The project is known as Google Station, a program that is designed to provide high quality, high-speed Wi-Fi hotspots in partnership with 21st Century. This service would be available to 10 million Nigerians which will also be available in 200 locations in five cities across Nigeria by the end of 2019. Although, Google did not disclose the amount invested in the new Nigeria service, the technology firm said it planned to share revenues with its partners to help them maintain and deploy the free Wi-Fi service. She stated that Nigeria is the fifth country to get Google Station, after India, Indonesia, Thailand and Mexico. According to her, the service is aimed at countries with rapidly expanding populations. The United Nations however estimated that Nigeria will be the world’s third most populous nation, after China and India, by 2050. The Vice President of Nigeria, Professor Yemi Osinbajo welcomed efforts to improve internet connectivity in a speech at the conference on Thursday.